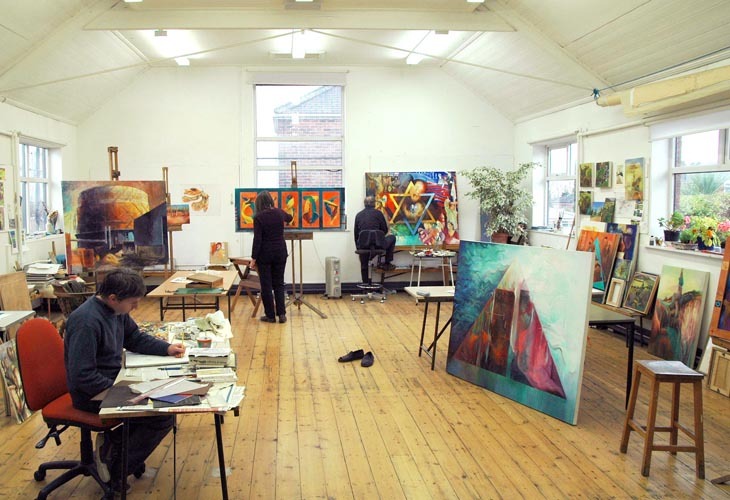 Bearpark Artists' Co-operative (est 1993) is an independent group of studio-based professional painters. Much of our work is concerned with the area in which we live. Works in oil, acrylic and watercolour are for sale and can be seen on the website and in the studio gallery. We exhibit regularly throughout the region and accept commissions. We make murals and banners and work in the health, education and community sectors.